The difference under a microscope is night and day! The cell phone pictures here don't do it justice, but I was absolutely amazed how much the quality of the slide has to do with the crispness of the image! Subtle detail that apear to be birth scars on viable yeast cells were visible, and texture inside the nucleus of the dying cells could be seen with the Brite-Line. The Qiujing will work fine for counting viability, but the processes is much slower. It's hard to find a focal depth where the cells are clear and the lines can be distinguished. Also, smaller objects, such as bacteria, are harder to resolve. 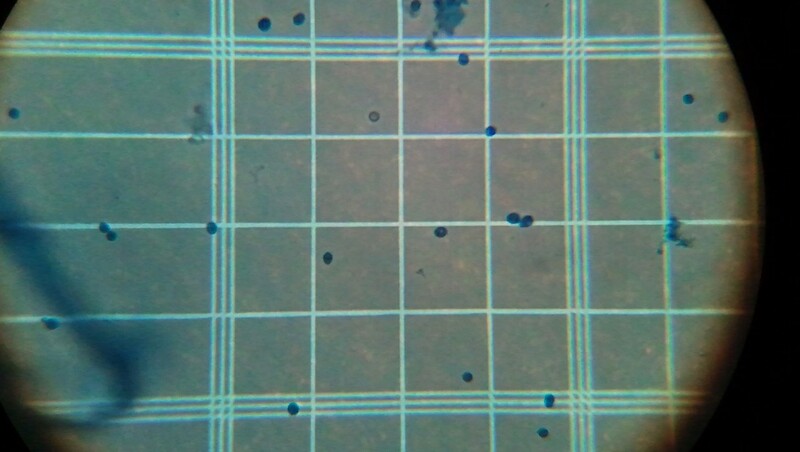 But for for homebrew, I can't justify spending more on a slide than I spent on the microscope. The squares aren't exactly square, but the ruling is close enough not to add much error to the cell count. There are other sources of error that can cause more deviation in measurements. With some practice, and learning how to best adjust the microscope the Qiujing is more than adequate. 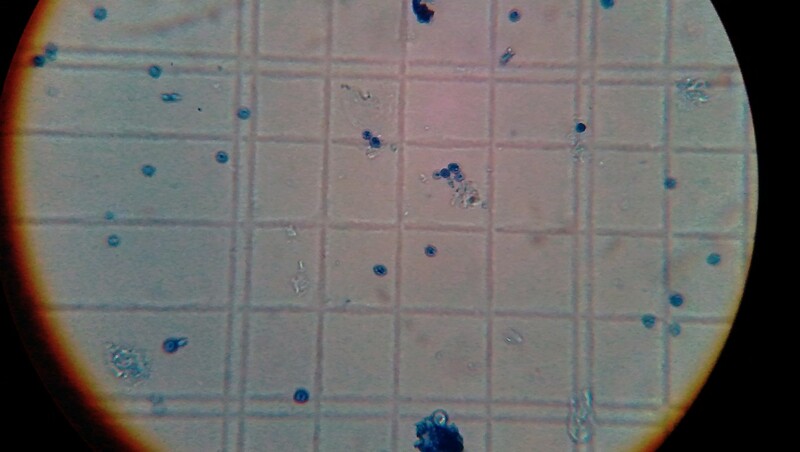 If you are are a microbiologist, or a lab technician you may be disappointed with the quality. However, for the money, I don't think you can beat it. It has been of great value for me!